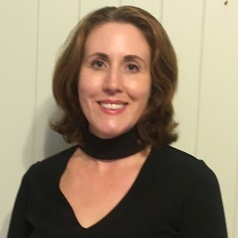 Michelle Brady is currently a UQ Senior Research Fellow in sociology in the School of Social Science. She joined the School in 2012 as a Lecturer in sociology and prior to this worked as an Assistant Professor at the University of Victoria, Canada. Michelle received her PhD in Sociology in 2011 and her Masters of Arts in 2006 both from the University of Alberta. Her PhD research focused Australian single mothers' experiences of welfare to work. Findings from this research have appeared in a range of outlets including Work, Employment and Society, Journal of Social POlicy, Critical Policy Studies and Public Policy. Currently she is the lead CI on an ARC Discovery project entitled Addressing Childcare Flexibility and a CI on the Interim home based care subsidy programme nanny pilot evaluation and In Home Childcare review. Her DP project examines how the problem of childcare flexibility and inflexibility is experienced and framed at three levels; families, childcare service providers and policy makers. Between 2013 to 2014 she worked on the official evaluation of Australia's first publicly funded paternity leave scheme, Dad and Partner Pay. She is one of the lead authors on the final evaluation report. Findings from this research also appear in the Journal of Social Policy and the Journal of Family Studies. In 2012 she obtained a Canadian Social Science and Humanities Research Council grant to lead a cross-disciplinary, collaborative publishing project on ethnography, neoliberalism and governmentality. This project has resulted in a special issue of Foucault Studies (2014) and the 2016 Edited collection with University of Toronto Press Governing Practices: Neoliberalism, Governmentality and the Ethnographic Imaginary.